Klaus was born in Berlin. He has studied jewelry-making and has worked for many years as a restorer for antiques and works of art. He has traveled extensively and prefers living outdoors. For the last twenty years he has been living in Greece, dividing his time between his work a restorer and jeweler and living in nature. 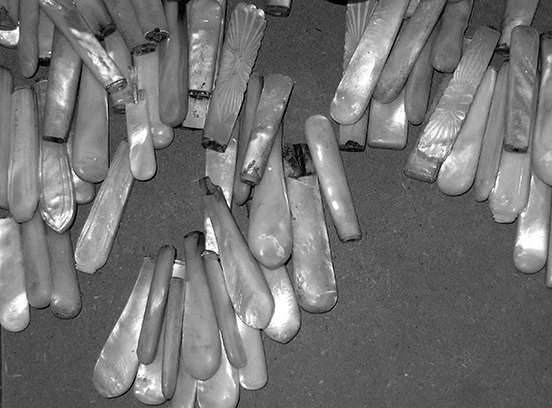 The materials used for the jewelry come from various sources. Rare natural materials like ivory, turtle shell and various types of leather come from old objects found in flee markets and antique shops; ivory can be found in old brushes, drawer handles, mirrors, etc. 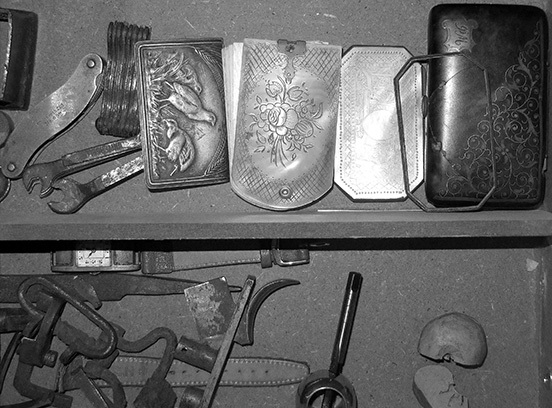 Other materials can be found in eyeglass cases, cutlery handles and various decorative objects. Many materials, such as driftwood, can be found in nature. Another source for animal bones and skin is food remains or even roadkill. These have been, of course, not only thoroughly cleaned but also properly treated to enhance their texture and durability. All of these materials are natural and each piece is unique. 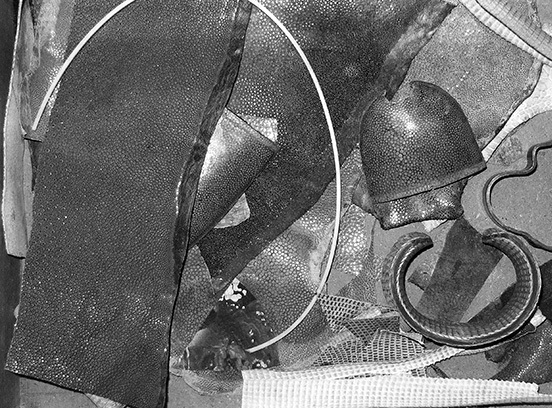 Klaus has developed his own techniques for working with these materials economically and using as much of the material as possible. 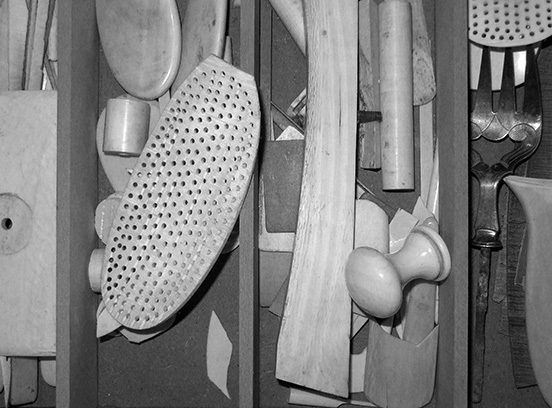 For example, he has developed a technique for bending ivory that allows the creation of curved objects from small straight ivory pieces. Klaus's latest work is focused on working with wood and specifically with wood from recycled skateboards. Skateboard decks are made of many layers of plywood. These layers are usually color coded. This type of structure gives many possibilities for their reuse. Depending on how the deck is cut (vertically or diagonally), different color patterns will emerge. To achieve greater strength for the jewelry the deck should be cut in such a way that there will be no small shards that can be cut loose. 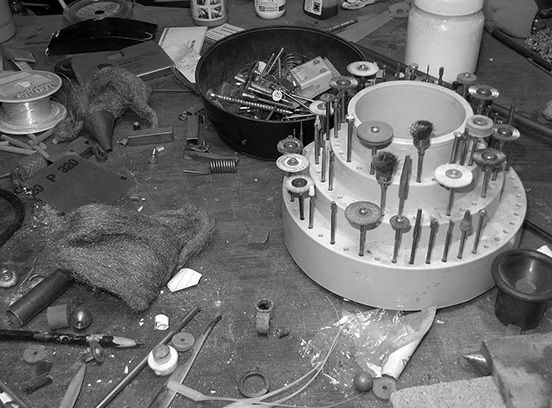 Klaus has developed a technique for bending straight cuts from a deck to create curved pieces for bracelets and other objects. This technique creates a unique grain but also gives great strength to the objects. The prices of the various objects reflect mostly the work that has been done for each. 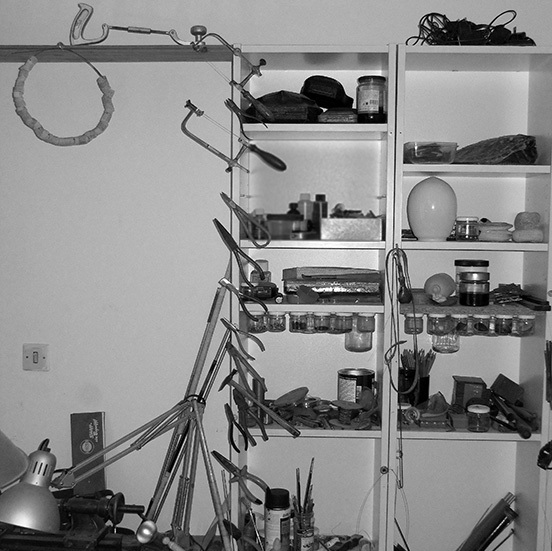 Some of the objects are relatively simple while others are the results of many months of work. In objects that contain rare or expensive materials the quantity of material affects the price. In most cases the price is not directly related to the size. Smaller object may require greater amounts of work and finer detail. Objects made from organic materials are unique and can not be replicated. Each object you see on the site is unique and will not be made again. Objects made from skateboard decks also have unique characteristics but they could be repeated allowing a small variation in shape and, of course, the different grain and texture that will emerge from each deck. Objects and jewelry made from organic materials may bear the markings of the materials themselves, such as stains on turtle shell or leather. We strongly advice you not to try to remove such markings. You should always be very careful with cleaning these objects, do not use water or chemical detergents. With normal use, the objects will be fine with minimum dusting with a watercolor brush. Objects and jewelry made from skateboard decks are more robust and can withstand water. You can wear them at sea or in the shower. With normal use, they will not stain or get dirty and will not need special cleaning.